Of course spending time in nature is pleasant, but it can also be a meditative practice to improve your physical health and outlook on life. In Japan, the process of deeply experiencing nature by taking it in slowly and thoughtfully through all the senses is called shinrin-yoku, which translates as "forest bathing." The practice’s effects on the body and mind have been studied since it was developed in the early 1980s and has been shown to lower cortisol, the primary stress hormone in the brain, and lower blood pressure. It has also been shown to help improve immunity and boost metabolism, among other positive effects. How do you go about forest bathing? 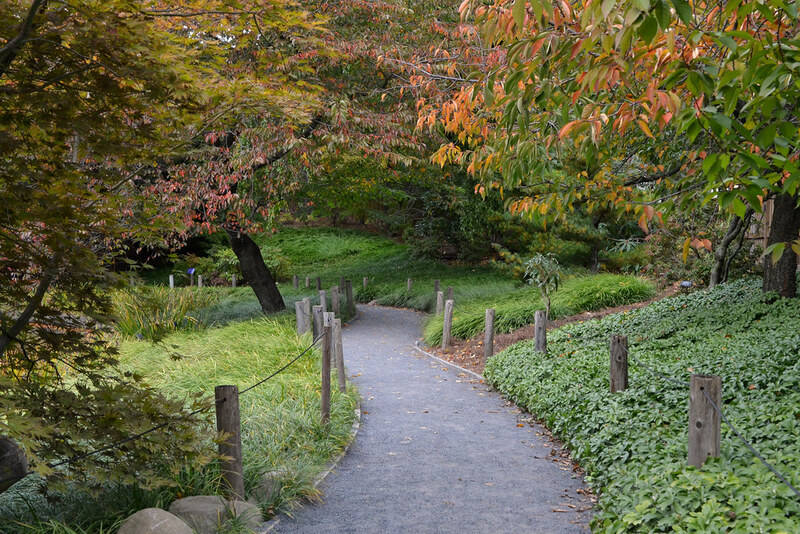 A typical session involves walking very slowly and deliberately through the forest, but you can also try this technique in other natural environments, like Brooklyn Botanic Garden. As you walk, think about expanding your gaze to admire more of the beauty of nature than you previously noticed before. Notice subtle differences in the color of things, for example, the koi as they move through the water in the Japanese Hill-and-Pond Garden. Take a moment to pause and deeply breathe in the abundant clean oxygen from the tall, hundred-year-old katsura tree near Cherry Walk. Gently bend down and run your fingers through the grass below your feet. Open your ears to tune in to to the sound of bees buzzing, birds chirping, and leaves rustling. Breathe in deeply through your nose to smell the varied aromas in the Fragrance Garden. You can practice shrinrun-yoku as often as you like. Just one afternoon can bring positive feelings of well-being that last for weeks. Lavender Suarez is a sound artist, healer, and educator based in New York's Hudson Valley. Japanese Hill-and-Pond Garden. Photo by Lee Patrick.